Ford is to shut its Southampton plant, which builds the Transit van, marking the end of Ford vehicle production in the UK. The plant has built more than six million Transit models since production started in 1972. 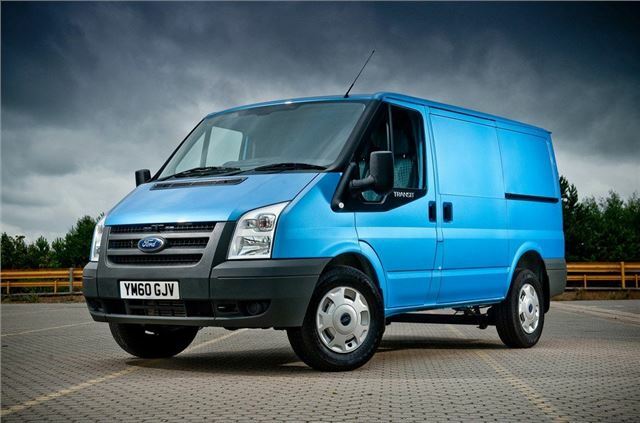 From next year all Transit vans will be built at Ford's factory in Turkey. The firm has also announced that it will close stamping and tooling operations at Dagenham. Combined the two closures will see 1400 jobs lost including logistics and support jobs. Ford is also closing its factory in Genk, Belgium, which builds the Mondeo, Galaxy and S-MAX. Production is expected to move to Valencia, Spain during 2014. The news comes just weeks after Ford announced a huge product offensive in Europe with 15 new models - including the new Transit - due to be introduced in the next five years. But despite the brand being the market leader in the UK, Ford of Europe continues to suffer losses with a projected loss for 2012 of more than $1.5 billion. The closures are expected to save Ford around $500 million. In recent months, Ford has taken steps at other plants including reducing line speed, short-time working days and lay-off days. The company also has reduced temporary employment in several plants. There is some good news for the UK though. While vehicle production is ending, Ford says its UK operations will remain a centre of excellence for powertrain development and production. This includes plans to produce a new low emissions 2.0-litre diesel engine at Dagenham that will be introduced in 2016. The plant already builds the 1.6 ECOnetic TDCI unit. The new 2.0 diesel will be developed at Ford’s Technical Centre in Dunton, Essex, one of the largest automotive research and development centres in the UK, where initial project work has already started. Additional investment also is expected at Ford’s Bridgend Engine Plant in South Wales to support production of petrol engines. "While we are facing challenges in Europe, we are fully committed to transforming our European business by moving decisively to match production to demand, improve revenue through new products and a stronger brand, improve our cost efficiencies and take advantage of opportunities to profitably grow our business," said Alan Mulally, Ford president and CEO.